I'm presenting here the technical aspects of setting up a small-scale testing lab in my basement, using as little hardware as possible, and keeping costs to a minimum. For one thing, systems needed to be mobile if possible, easy to replace, and as flexible as possible to support various testing scenarios. I may wish to bring part of this network with me on short trips to give a talk, for example. One of the core aspects of this lab is its use of the network. 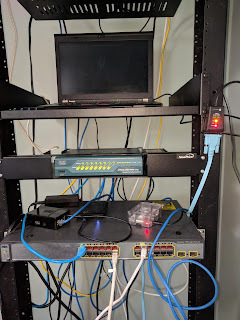 I have former experience with Cisco hardware, so I picked some relatively cheap devices off eBay: a decent layer 3 switch (Cisco C3750, 24 ports, with PoE support in case I'd want to start using that), a small Cisco ASA 5505 to act as a router. The router's configuration is basic, just enough to make sure this lab can be isolated behind a firewall, and have an IP on all networks. The switch's config is even simpler, and consists in setting up VLANs for each segment of the lab (different networks for different things). It connects infrastructure (the MAAS server, other systems that just need to always be up) via 802.1q trunks; the servers are configured with IPs on each appropriate VLAN. VLAN 1 is my "normal" home network, so that things will work correctly even when not supporting VLANs (which means VLAN 1 is set to the the native VLAN and to be untagged wherever appropriate). VLAN 10 is "staging", for use with my own custom boot server. VLAN 15 is "sandbox" for use with MAAS. The switch is only powered on when necessary, to save on electricity costs and to avoid hearing its whine (since I work in the same room). This means it is usually powered off, as the ASA already provides many ethernet ports. 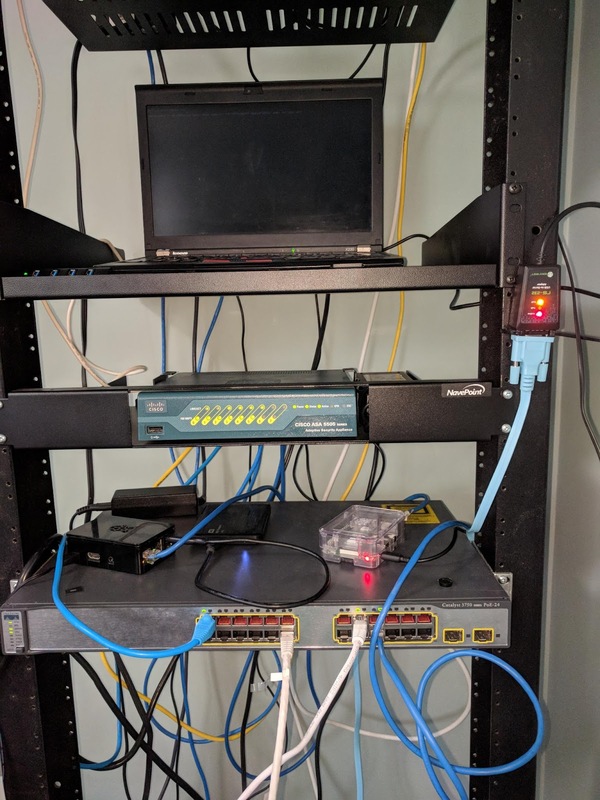 The telco rack in use was salvaged, and so were most brackets, except for the specialized bracket for the ASA which was bought separately. Total costs for this setup is estimated to about 500$, since everything comes from cheap eBay listings or salvaged, reused equipment. The Cisco hardware was specifically selected because I had prior experience with them, so I could make sure the features I wanted were supported: VLANs, basic routing, and logs I can make sense of. Any hardware could do -- VLANs aren't absolutely required, but given many network ports on a switch, it tends to avoid requiring multiple switches instead. My main DNS / DHCP / boot server is a raspberry pi 2. It serves both the home network and the staging network. DNS is set up such that the home network can resolve any names on any of the networks: using home.example.com or staging.example.com, or even maas.example.com as a domain name following the name of the system. Name resolution for the maas.example.com domain is forwarded to the MAAS server. More on all of this later. The MAAS server has been set up on an old Thinkpad X230 (my former work laptop); I've been routinely using it (and reinstalling it) for various tests, but that meant reinstalling often, possibly conflicting with other projects if I tried to test more than one thing at a time. It was repurposed to just run Ubuntu 18.04, with a MAAS region and rack controller installed, along with libvirt (qemu) available over the network to remotely start virtual machines. It is connected to both VLAN 10 and VLAN 15. Additional testing hardware can be attached to either VLAN 10 or VLAN 15 as appropriate -- the C3750 is configured so "top" ports are in VLAN 10, and "bottom" ports are in VLAN 15, for convenience. The first four ports are configured as trunk ports if necessary. I do use a Dell Vostro V130 and a generic Acer Aspire laptop for testing "on hardware". They are connected to the switch only when needed. Finally, "clients" for the lab may be connected anywhere (but are likely to be on the "home" network). They are able to reach the MAAS web UI directly, or can use MAAS CLI or any other features to deploy systems from the MAAS servers' libvirt installation. I will avoid going into the details of the Cisco hardware too much; configuration is specific to this hardware. The ASA has a restrictive firewall that blocks off most things, and allows SSH and HTTP access. Things that need access the internet go through the MAAS internal proxy. For simplicity, the ASA is always .1 in any subnet, the switch is .2 when it is required (and was made accessible over serial cable from the MAAS server). The rasberrypi is always .5, and the MAAS server is always .25. DHCP ranges were designed to reserve anything .25 and below for static assignments on the staging and sandbox networks, and since I use a /23 subnet for home, half is for static assignments, and the other half is for DHCP there. 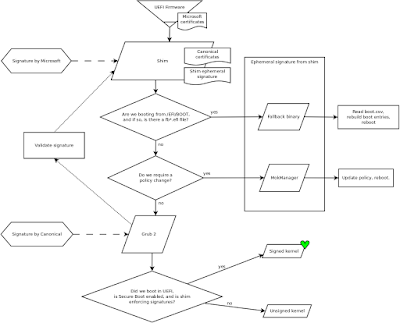 In /etc/default/libvirtd, then restart the libvirtd service. # copied from maas, specify boot files per-arch. # staging is configured as above, but on 10.3.98.0/24. # maas.example.com: "isolated" maas network. # set some "upstream" nameservers for general name resolution. I did put one per file, with meaningful filenames. This helps with debugging and making changes when network cards are changed, etc. The names used for the files do not match DNS names, but instead are a short description of the device (such as "thinkpad-x230"), since I may want to rename things later. Again, this is used so any rename of a device only requires changing the content of a single file in /depot/dnsmasq/dns, rather than also requiring renaming other files, or matching MAC addresses to make sure the right change is made. At this point, the configuration for the networking should already be completed, and libvirt should be ready and accessible from the network. The MAAS installation process is very straightforward. Simply install the maas package, which will pull in maas-rack-controller and maas-region-controller. Once the configuration is complete, you can log in to the web interface. Use it to make sure, under Subnets, that only the MAAS-driven VLAN has DHCP enabled. To enable or disable DHCP, click the link in the VLAN column, and use the "Take action" menu to provide or disable DHCP. This is necessary if you do not want MAAS to fully manage all of the network and provide DNS and DHCP for all systems. In my case, I am leaving MAAS in its own isolated network since I would keep the server offline if I do not need it (and the home network needs to keep working if I'm away). The pinning_ entries are simply added to the end of the "late_commands" section. maas local pods create type=virsh power_address="qemu+tcp://127.0.1.1/system"
The pod will be given a name automatically; you'll then be able to use the web interface to "compose" new machines and control them via MAAS. If you want to remotely use the systems' Spice graphical console, you may need to change settings for the VM to allow Spice connections on all interfaces, and power it off and on again. # DNS resolution logic in SSH correctly. As a bonus, I have included some code that makes it easy to SSH to local libvirt systems or lxd containers. The net effect is that I can avoid having the warnings about changed hashes for MAAS-controlled systems and machines in the staging network, but keep getting them for all other systems. And the system will be reachable, and you will not have any warning about known host hashes (but do note that this is specific to a sandbox environment, you definitely want to see such warnings in a production environment, as it can indicate that the system you are connecting to might not be the one you think). And I saved this as "sandbox" in ~/bin and making it executable. And with this, the lab is ready. Warning: Permanently added 'vocal-toad.maas.example.com,10.3.99.12' (ECDSA) to the list of known hosts. One important point for me was the mobility of the lab. While some of the network infrastructure must remain in place, I am able to undock the Thinkpad X230 (the MAAS server), and connect it via wireless to an external network. It will continue to "manage" or otherwise control VLAN 15 on the wired interface. In these cases, I bring another small configurable switch: a Cisco Catalyst 2960 (8 ports + 1), which is set up with the VLANs. A client could then be connected directly on VLAN 15 behind the MAAS server, and is free to make use of the MAAS proxy service to reach the internet. This allows me to bring the MAAS server along with all its virtual machines, as well as to be able to deploy new systems by connecting them to the switch. Both systems fit easily in a standard laptop bag along with another laptop (a "client"). All the systems used in the "semi-permanent" form of this lab can easily run on a single home power outlet, so issues are unlikely to arise in mobile form. The smaller switch is rated for 0.5amp, and two laptops do not pull very much power. Custom (desktop?) images could be loaded into MAAS, to facilitate starting a desktop build. Automate customizing installed packages based on tags applied to the machines. juju would shine there; it can deploy workloads based on available machines in MAAS with the specified tags. Also install a generic system with customized packages, not necessarily single workloads, and/or install extra packages after the initial system deployment. This could be done using chef or puppet, but will require setting up the infrastructure for it. Integrate automatic installation of snaps. Using PGP/GPG keys for a long period of time (either expiring keys, or extending expiration dates) and the potential for travel, for hardware to fail, or for life's other events means that eventually rather than potentially, you will end up in a situation where a key is lost, damaged, or where you otherwise need to proceed with some disaster recovery techniques. These techniques could be as simple as forgetting about the key altogether and letting it live forever on the Internet, without being used. It could also be that you were clever and saved a revocation certificate somewhere different than your private key is backed up, but what if you didn't? What if you did not print the revocation certificate? Or you just really don't feel very much like re-typing half a gazillion character? I wouldn't wish it to anyone, but there will always be the risk of a failure of your "backup options"; so I'm sharing here my personal backup methods. "Daily use" happens using a Yubikey that holds securely the private part of the keys (it can't be extracted from the smartcard), as well as the public part. I've already written about this two years ago, on this blog. The first layer of backup is on a LUKS-encrypted USB key. The USB key must obviously be encrypted to block out most attempts at accessing the contents of the key; and it is a key that I usually carry on my person at all times, like the Yubikeys -- I also use it to back up other files I can't leave without, such as a password vault, some other certificates, copies of ID documents in case of loss for when I travel, etc. The next layer is on paper. Well, cardstock actually, to avoid wanting to fold it. This is the process I want to dig into deeper here. It turns out that backing up secure keys on paper is pretty straightforward, and something just fine to do. You will obviously want to keep the paper copies in a secure location that only you have access to, as much as possible safe from fire (or at least somewhere unlikely to burn down at the same time as you'd lose the other backups). This retains the same security systems as your original key. You should have added a passphrase to it anyway, so even if the paper copy was found and used to recover the key, you would be protected by the complexity of your passphrase. But this depends on OCR working correctly, especially on an aging medium such as paper, or you spending many hours re-typing the contents, and potentially tracking down typos. There's error correction, but that sounds to me like not fun at all. When you want to recover your key, presumably it is because you really do need it as soon as possible. Back in 2015 when I generated my latest keys, I found a blog post that explained how to use QR codes to back up data. QR codes have the benefit of being very resilient to corruption, and above all, do not require typing. QR codes are however limited in size, being limited to 177x177 squares, for about 1200 characters storage. Along with that blog post, I also found out about DataMatrix codes (which are quite similar to QR codes), but where each symbol can save a bit more data (about 1500 bytes per image in the biggest size). Pick the format you prefer, I picked DataMatrix. Simply modify the size you split to in the commands below. You will be left with multiple parts of the file you originally split (without a file extension), as well as a corresponding image in PNG format that can be printed, and later scanned, to recover the original. Keep these in a safe location and your key should be recoverable years down the line. It's not a bad idea to "pretend" there's a catastrophe and attempt to recover your key every few months, just to be sure you can go through the steps easily and that the paper keys are in good shape. If all went well, the original and recovered files should be identical, and you just avoided a couple of hours of typing.